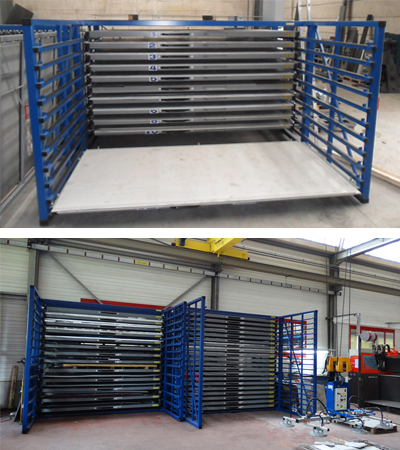 These horizontal storage systems provide safe and compact storage for any metal sheet up to 6 meters in length. The completely extendable drawers guarantee full availability of the sheets, so they can be transported immediately with a loading crane, a fork-lift truck or a vacuum lifter. 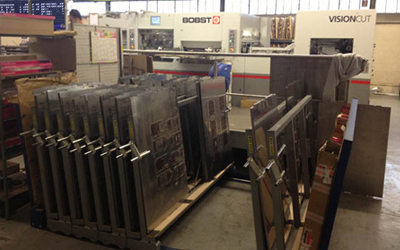 The metal sheet rack horizontal is a highly efficient and space-saving storage method, since it boasts pivoting doors. Complete packages of steel sheets can be safely and compactly stored without losing the direct access to each sheet. If you wish to handle or transport steel sheets with a forklift truck, the metal sheet forklift rack should do the trick. It is specifically designed for this purpose, with several cassettes which are equipped with openings for the truck's forks. 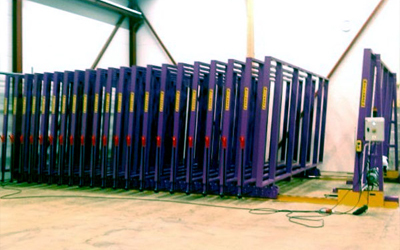 In this manner, the truck can remove the cassettes from the rack without touching the metal sheets themselves. Accordingly, your metal sheets cannot be damaged while transporting them. For instance when there is a considerable distance between the storage and the processing machine, this way of working can provide the most secure solution. 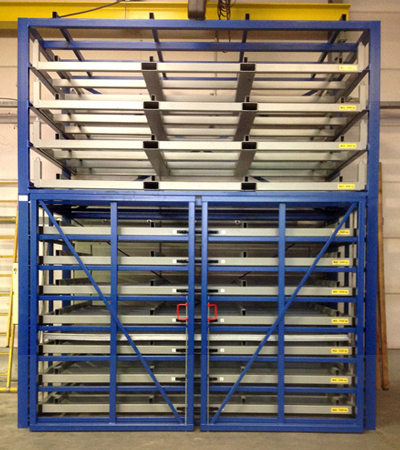 An even higher storage capacity on a small surface can be obtained when the above storage systems are combined. 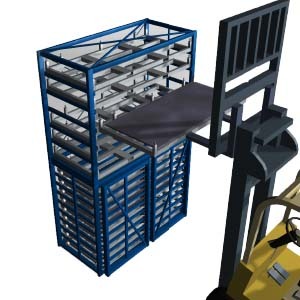 The metal sheet warehouse rack has completely extendable drawers at the bottom (horizontal sheet rack) and removable cassettes (metal sheet forklift rack) at the top part. This combination results in a strong and multifunctional storage system. 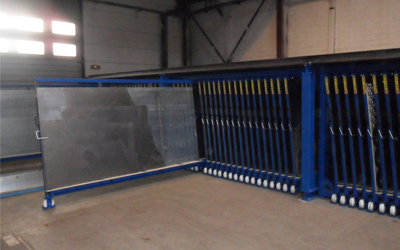 - In these compact storage systems your metal sheets are stored in a vertical manner.